The Scandinavian Conference on Image Analysis (SCIA) is a biennial conference on computer vision, image analysis, and pattern recognition. It has been held since 1980 in the scandinavian countries Sweden, Denmark, Norway and Finland. In 2019, SCIA will return to Linköping University, Sweden, where the first conference was held in 1980. 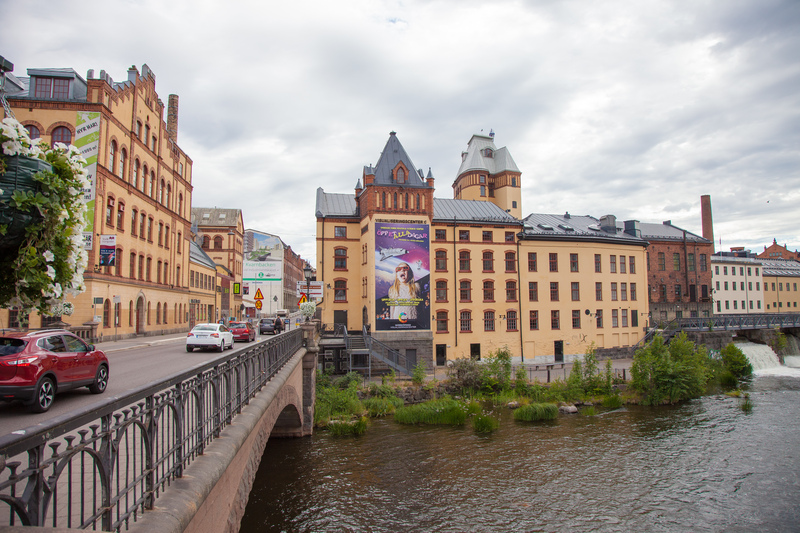 However, this time it will be in the nearby city of Norrköping, which hosts the Norrköping Campus of Linköping University. 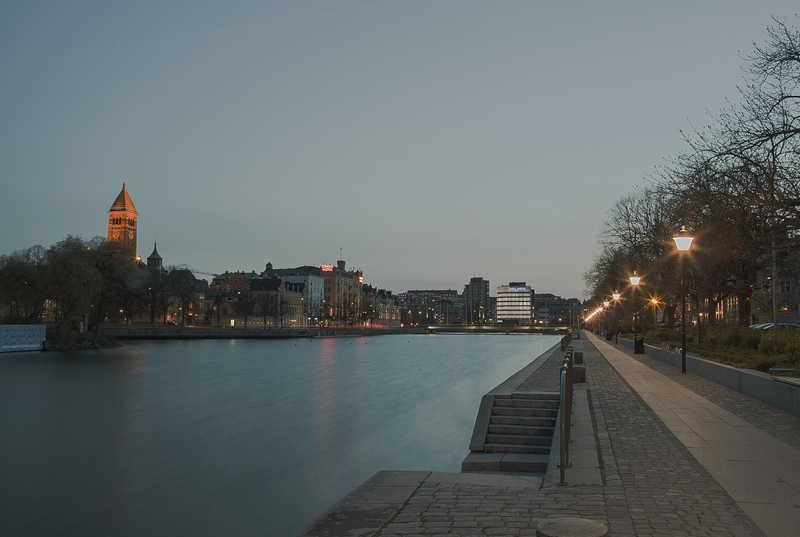 The conference will be co-located with the Swedish Symposium on Deep Learning (SSDL), which takes place on June 10-11. For more information on SSDL, please see the symposium webpage. Proceedings of the conference will be published in the Springer Lecture Notes in Computer Science (LNCS) series. Accomodation and travel: Book hotel at conference rates here. For information on traveling, please see the information under venue information. Vironova is a Swedish biotech company bringing new solutions to the field of sub-visible particle characterization. We provide imaging and analysis services, as well as software and instruments for this purpose. Vironova's core technology and expertise is electron microscopy combined with image analysis for detection and characterization of virus and other nano-sized particles and materials. Our main customer basis is working in the highly regulated and quality demanding pharmaceutical industry focusing on drug delivery, gene therapy and vaccine development. Our services are requested both in the R&D, quality control and production phases. Vidhance® by Imint is a video enhancement software platform that transforms a smartphone camera, or in fact, any type of camera into a professional film-making device. The features include Video Stabilization, Noise Reduction, Live Composer and many more high-profile enablers. Imint strives to make the best products possible and Vidhance® currently holds the high score for video stabilization on DxOMark. The products are enjoyed by 70+ million end-users, and smartphone manufacturers such as Huawei, Xiaomi, Oppo and Vivo rely on our products. The qualities of Vidhance® are just as applicable for other industries – drones, smart cameras, IoT or any other area where the camera serves as a key component. Unibap provides innovative automation solutions on Earth and in space with a vision to create sustainability and better work environments. Unibap offer a range of digitalization services and products for smart plants in the areas of automated quality assurance and flexible automation together with partners like GE Digital, ABB and Intel Corp and customers such as Husqvarna Group and Epiroc. Many solutions leverage Deep Learning, computer vision, robotics, and automation to provide value information for digitized quality assurance, manufacturing process optimization, robot path planning and operations. Sectra, originally a spin-off from Linköping University, is a world-leading innovator in IT for medical imaging and cybersecurity. Sectra has more than 600 employees and customers in over 60 countries. Current R&D spans across many computer science areas such as artificial intelligence and human-computer-interaction. The global corporate headquarters is in Linköping, Sweden. Working at Tobii means being at the heart of innovation. You get to work on really cool projects with passionate, knowledgeable and big-hearted colleagues from all around the world. We use technology to bring a voice to people with speech impairments, to understand human behavior and to revolutionize the way we interact with technology. Founded in 2001, Tobii is the world leader in Eye Tracking but we have only scratched the surface of the possibilities of Eye Tracking! 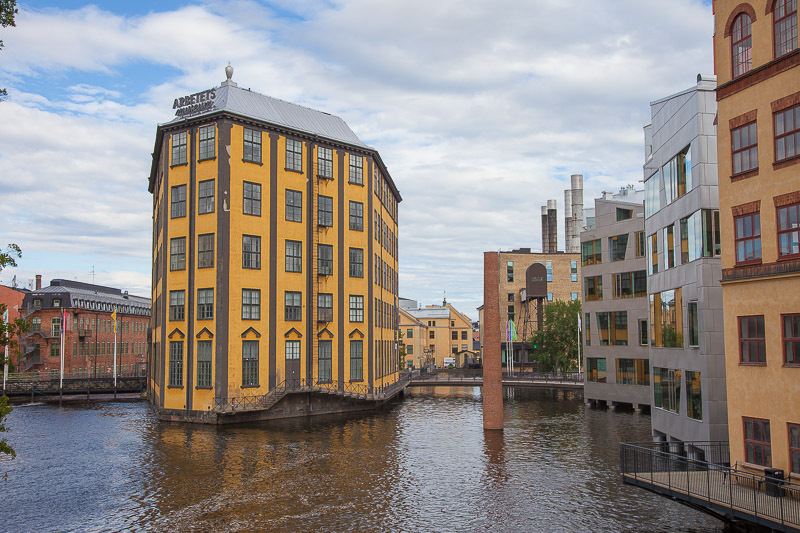 Our headquarter is in Stockholm but we have 13 offices in Europe, North America and Asia where we work diligently to improve our Eye Tracking each and every day. Analytic Imaging Diagnostics Arena, AIDA, is a Swedish arena for research and innovation on AI for medical image analysis. Here, academia, healthcare and industry meet to translate AI technology into patient benefit. AIDA assists with financial support, technical resources and competence development. 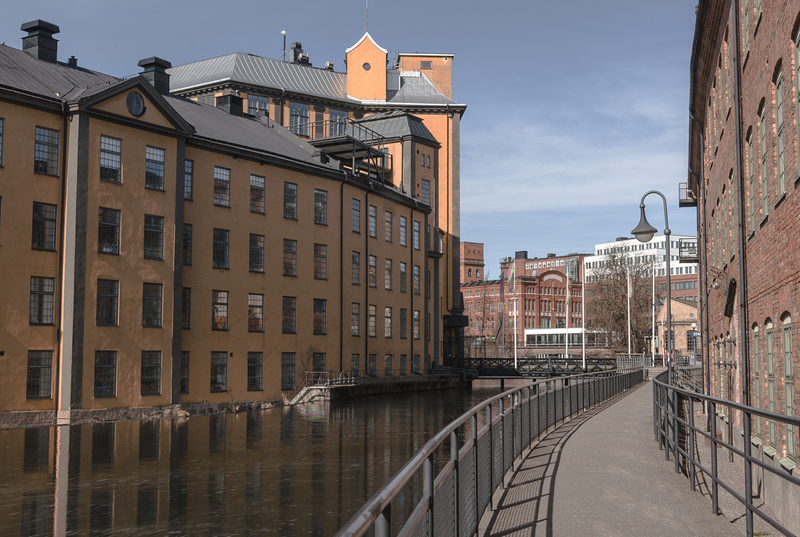 AIDA is an initiative within the Strategic innovation program Medtech4Health, jointly supported by VINNOVA, Formas and the Swedish Energy Agency. 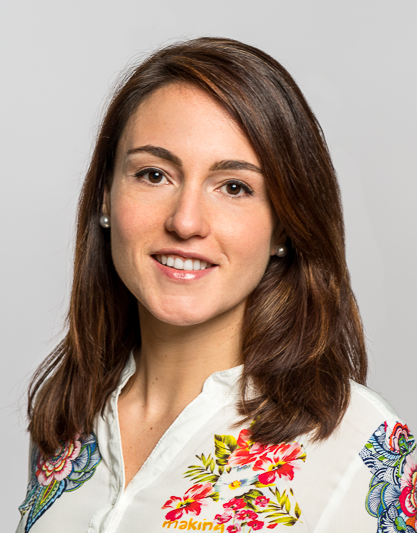 Prof. Laura Leal-Taixé is leading the Dynamic Vision and Learning group at the Technical University of Munich, Germany. She received her Bachelor and Master degrees in Telecommunications Engineering from the Technical University of Catalonia (UPC), Barcelona. She did her Master Thesis at Northeastern University, Boston, USA and received her PhD degree (Dr.-Ing.) from the Leibniz University Hannover, Germany. During her PhD she did a one-year visit at the Vision Lab at the University of Michigan, USA. She also spent two years as a postdoc at ETH Zurich, Switzerland and one year at the Technical University of Munich. In 2017, she won the Sofja Kovalevskaja Award of 1.65 million euros from the presitgious Humboldt Foundation for her project "socialMaps". Dynamic Scene Understanding - With our without time? If you ask any student nowadays what tools to use to solve an image recognition task, the most popular answer will be Deep Learning. But the real-world is not static but rather dynamic, and therefore better represented by videos than by still images. It is still an interesting open question how to deal with the temporal redundancy of video frames: shall a Neural Network exploit it or ignore it? In this talk, I will explore both strategies, i.e., to actually exploit the redundancy in the content of nearby frames, or to ignore it. In the first work on multiple object tracking, I show how to obtain temporally coherent results while not using temporal information during training. This also alleviates the need for full video annotations. From our recent work on video super resolution, I will present our new temporal discriminator which works in a Generative Adversarial Network training scheme in order to create temporally coherent image details. 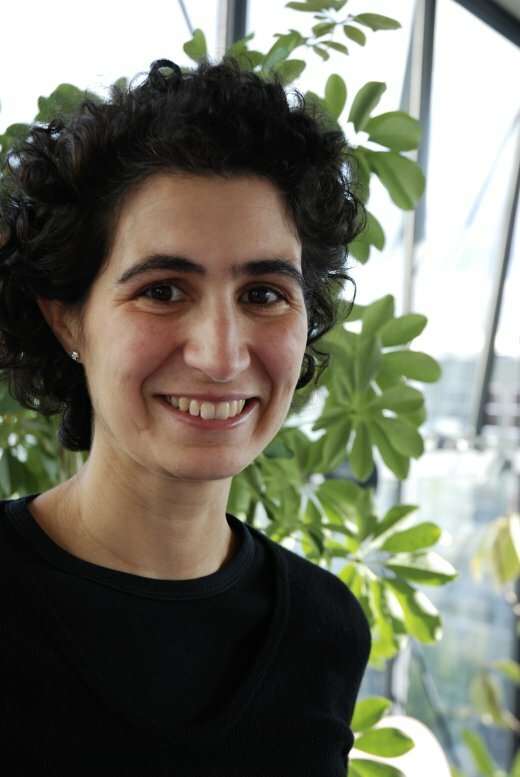 Lourdes Agapito holds the position of Professor of 3D Vision in the Department of Computer Science at University College London (UCL). Her research in Computer Vision has focused on the inference of 3D information from the video acquired from a single moving camera. While early research focused on static scenes, attention soon turned to the much more challenging problem of estimating the 3D shape of non-rigid objects (Non-Rigid Structure from Motion, NR-SFM) or complex dynamic scenes where an unknown number of objects might be moving, possibly deforming, independently. Prof. Agapito's research group investigates all theoretical and practical aspects of NRSFM: deformable tracking; dense optical flow estimation and non-rigid video registration; 3D reconstruction of deformable and articulated structure and dense 3D modelling of non-rigid dynamic scenes. Fred Hamprecht holds the Robert-Bosch endowed professorship for Image Analysis and Learning at Heidelberg University. His research interests lie in image processing and machine learning. His main focus is on the development of algorithms to solve interesting problems from the life sciences. Major applications include the tracing of all neurites in a brain, the tracking of all cells in a developing embryo, and quantitative analysis of high-throughput experiments. The group puts particular emphasis on the user-friendly training of such systems, and is actively developing open source libraries and programs such as ilastik. 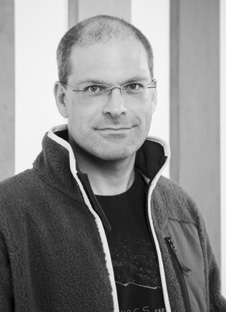 Prof. Hamprecht studied and earned his PhD at the Swiss Federal Institute of Technology (ETH), and became a Professor for Multidimensional Image Processing at Heidelberg University in 2001. He is a co-founder of the Heidelberg Collaboratory for Image Processing (HCI). Perennial computer vision problems such as image partitioning, instance segmentation or tracking can be reduced to combinatorial graph partitioning problems. The majority of models developed in this context have relied on purely attractive interactions between graph nodes. To obtain more than a single cluster, it is then necessary to pre-specify a desired number of clusters, or set thresholds. A notable exception to the above is multicut partitioning / correlation clustering, which accommodates repulsive in addition to attractive interactions, and which automatically determines an optimal number of clusters. Unfortunately, the multicut problem is NP-hard. In this talk, I will characterize the combinatorial problem and discuss its representations in terms of node or edge labelings. I will discuss greedy algorithms that find approximate solutions, or even exact ones under certain conditions. One algorithm I will discuss is the "mutex watershed" which currently gives the best results on a connectomics challenge. Joint work with Steffen Wolf, Constantin Pape, Nasim Rahaman, Alberto Bailoni, Ullrich Koethe, Anna Kreshuk. The papers can be submitted by following this link. Instructions for the submission will appear in the submission system. The maximum allowed length for a paper is 12 pages (single column), including references and appendices (if any). Paper submissions are anonymous, i.e. authors should not write their names and affiliations in the submitted paper. LateX2e: we recommend the use of LaTeX2e for the preparation of your camera-ready manuscript, together with the corresponding Springer class file. The ZIP archive with the LaTeX template and relative instructions can be downloaded here. Word: we do not encourage the use of Microsoft Word, particularly as the layout of the pages (the position of figures and paragraphs) can change between printouts. However, we do provide the relevant template. Please read the explanatory typing instructions "SPLNPROC Word 2007-2010 Technical Instructions.pdf" contained in the ZIP archive carefully. The template can be downloaded here. Word 2003: A document template has been prepared by Springer for use with Word 2003. Predefined style formats are available for all the types of content that are part of a computer science proceedings paper, and these formats can be easily accessed via special toolbars. The ZIP archive with the template can be downloaded here. a signed version (in PDF) of Springer copyright, available for download at the link below. Title of the Book or Conference Name: SCIA 2019. Title of the Contribution: title of the paper submitted to SCIA 2019. Author(s) Name(s): complete names of all the authors of the paper submitted to SCIA 2019. Corresponding Author's Name, Address, Affiliation and Email: information of the corresponding author of the paper submitted to SCIA 2019. The copyright form must be signed by the corresponding author of the paper and the three boxes in the end must be checked, only if one of the categories apply. Once the form is filled, it must be scanned and converted ina PDF file, which has to be sent along with the files required for the camera ready version of the manuscipt (see above), before April 3. The copyright form can be downloaded here. For the oral paper presentation, authors are asked to prepare a set of slides for a talk of 15-17 minutes. The research papers must neither been published nor submitted for publication elsewhere. Preprints (such as ArXiv) are accepted. Papers accepted for the SCIA 2019 conference will be published in Lecture Notes in Computer Science Proceedings, Springer. All figures will be in black and white in the printed publication. Registration to SCIA 2019 and SSDL is now open. Early bird registration is available until April 7. Register to SCIA 2019, SSDL or SCIA 2019 + SSDL here. Norrköping offers a variety of hotels within walking distance from the conference venue. Book hotel at conference rate here. 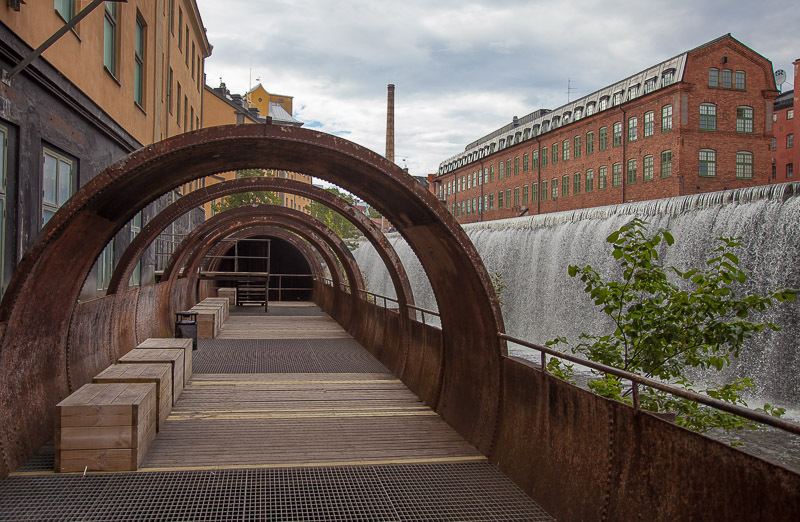 Traveling to Norrköping from outside of Sweden is easy. The closest airport is in the nearby city of Linköping with flights from and to the Schiphol airport in Amsterdam. Linköping airport is accessed to and from Norrköping by taxi or by taking a shuttle or bus to Linköping train station. The local train is operated by Östgötatrafiken leaves from Linköping Resecentrum to Norrköping Resecentrum 3-4 times every hour. Another option is Skavsta airport which operates Ryanair flights from several destinations in Europe and is accessed by frequent airport busses to and from Norrköping. The Arlanda airport in Stockholm can be reached from most major airports and is accessed by several daily direct trains to and from Norrköping. The SCIA 2019 conference reception on Tuesday June 11 will be held at the Visualization Center and include a mingle and visits to the public exhibitions and the dome theatre. The conference dinner in the evening on Wednesday June 12 will be held at in Östgöta kök's restaurant at Nya Torget close to Norrköping city center. 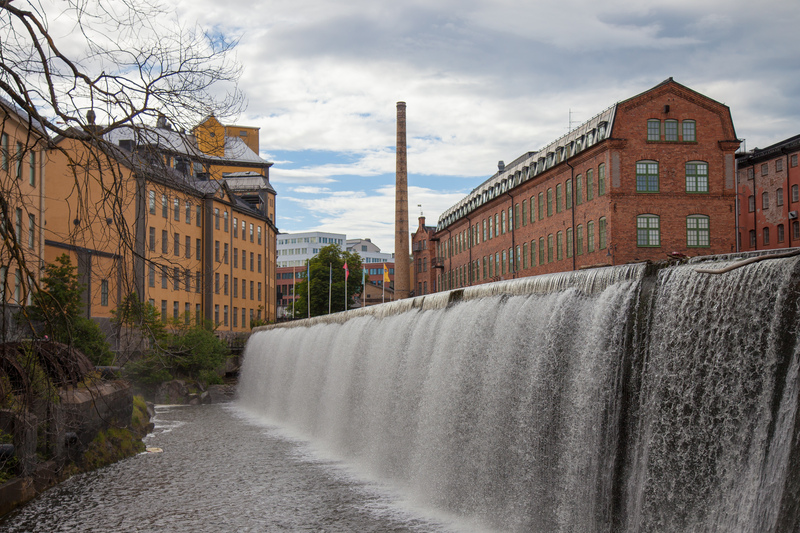 Norrköping is located approximately 1.5 hours south of Stockholm. From the 17th century to the middle of the 20th century, it was the place of a number of large industries located along the Motala river that floats through the city. 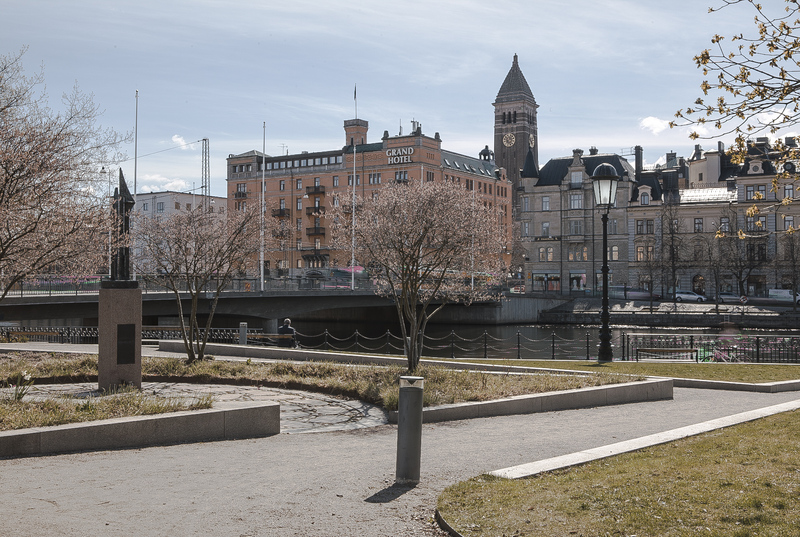 The city was a large producer of textiles, and has often been nicknamed "Sweden's Manchester". 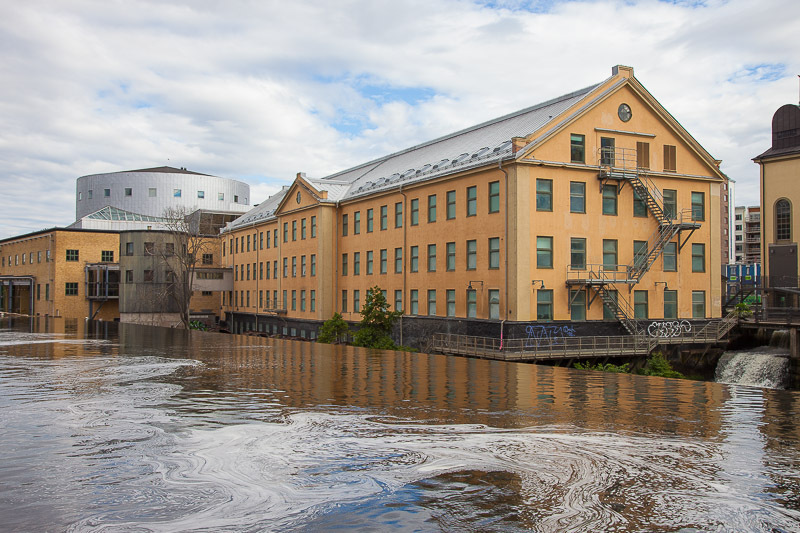 Today, the former industries have been restorated and transformed into a unique environment that hosts a number of innovative companies, museums, conference center, the Visualization Center C, as well as the Norrköping Campus of Linköping University. For more information about Norrköping, see for example the experience Norrköping website. The Museum of Work and the award-winning Katscha apartment building. 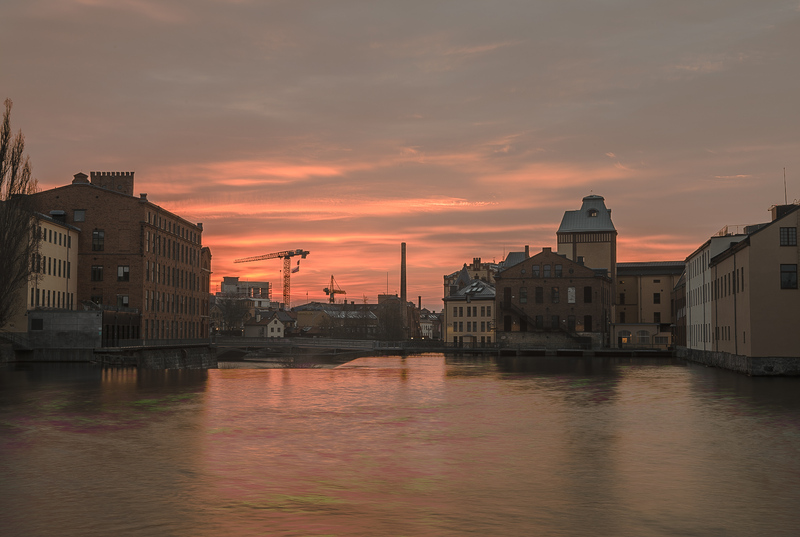 Motala river with Norrköping city hall in the background. 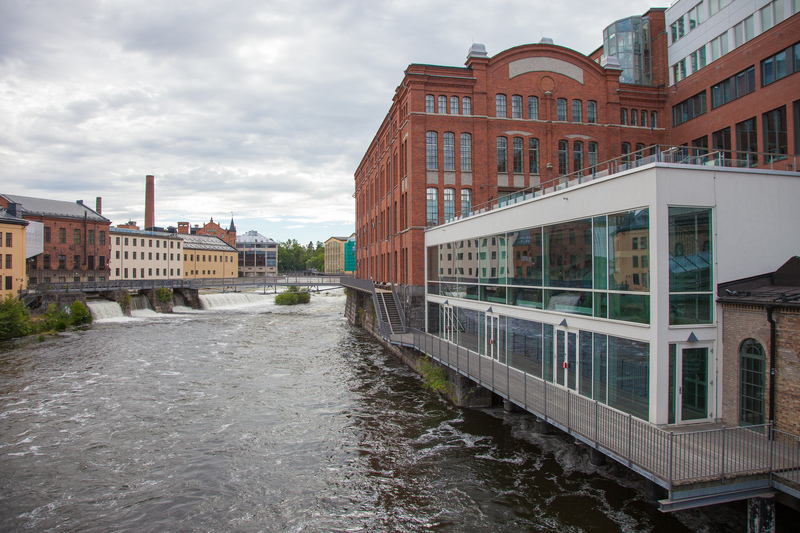 Campus Norrköping (left) and the Visualization Center C (right). 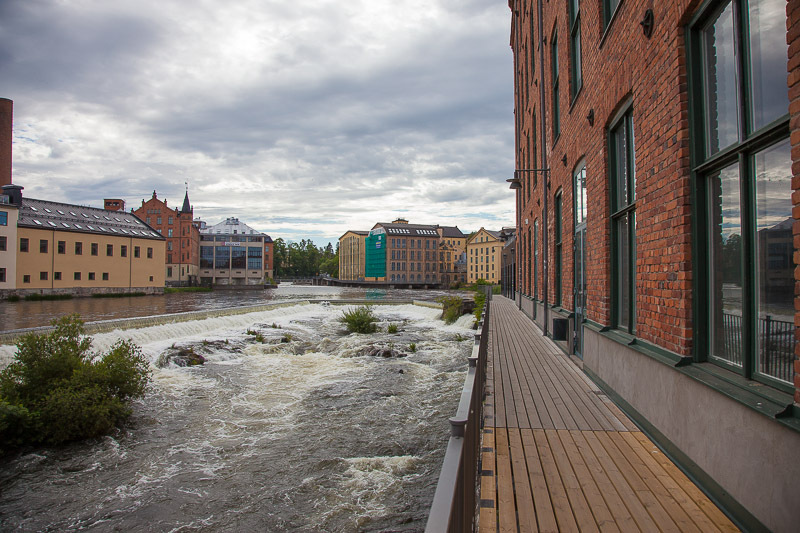 The industrial landscape, with Campus Norrköping in the background. Norrköping city hall in the background. 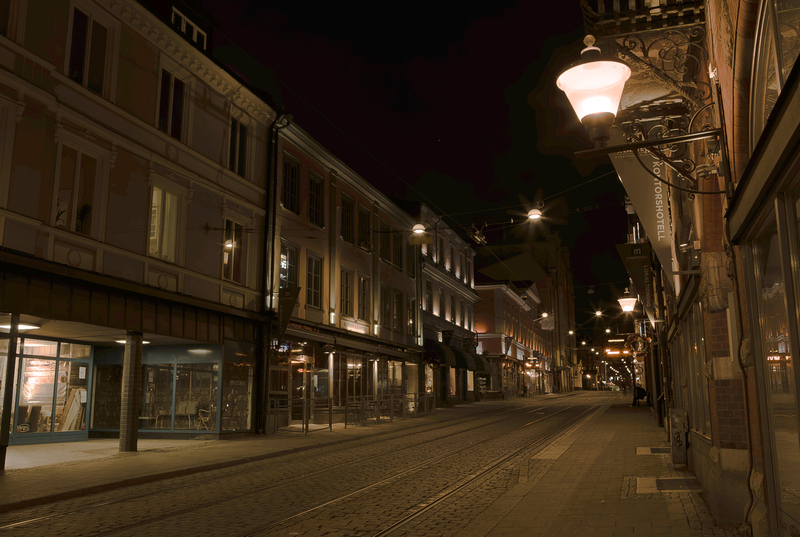 Drottninggatan (Queen's street), Norrköping city center. The cotton factory building (Bomullsspinneriet). Motala river, outside Campus Norrköping. The Visualization Center C (right). For more information and booking, please contact Daniel Jönsson.